Tennis elbow is a condition that affects the elbow which can be quite painful. It’s also known as lateral epicondylitis and can affect individuals other than tennis players. It’s common in people who perform repetitive motion with their elbows, such as golfers, painters, carpenters and others individuals who use their arms. Tennis elbow occurs when the tendon along the outside of the elbow moves unnaturally, causing inflammation and irritation. One way to help prevent the tendon from moving out of place is by wearing tennis elbow braces. 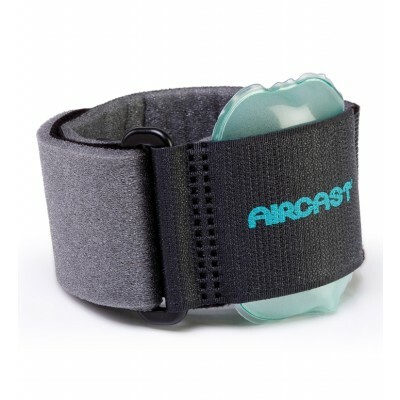 They apply gentle compression on the elbow to give it extra support and alleviates the pain. Wearing elbow pads can help protect your elbow from injury and soreness. They’re especially helpful for people who participate in sports that involve diving or sliding. Some job activities also involve leaning on the elbow for long periods of time, so having the cushioning protection from an elbow pad is essential to help prevent injury. One of the best elbow pads is the DonJoy Spider Elbow Pad. The honeycomb design helps provide cushion for the elbow. This means that it protects your elbows against impact and are very comfortable. The DonJoy Spider Elbow Pad is also very durable and doesn’t get in your way during sports and other activities. Check out the DonJoy Spider Elbow Pad today!